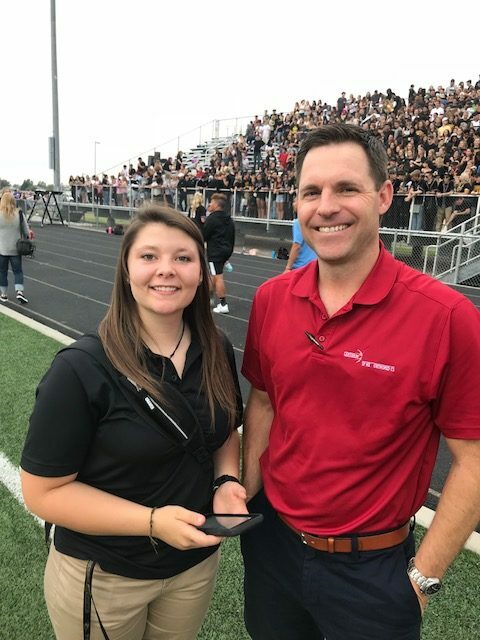 The rivalry game between Brighton High School (BHS) and Prairie View High School (PVHS) is always a highly anticipated event that students and the local community look forward to each year. 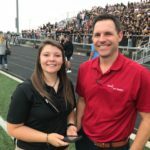 Kicking off the first game of the season, both teams played a competitive game under the lights as Prairie View hosted the game at their home field but fell short by 4 points, with a final score of 17-13. 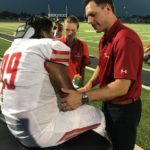 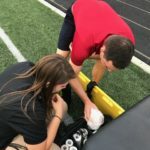 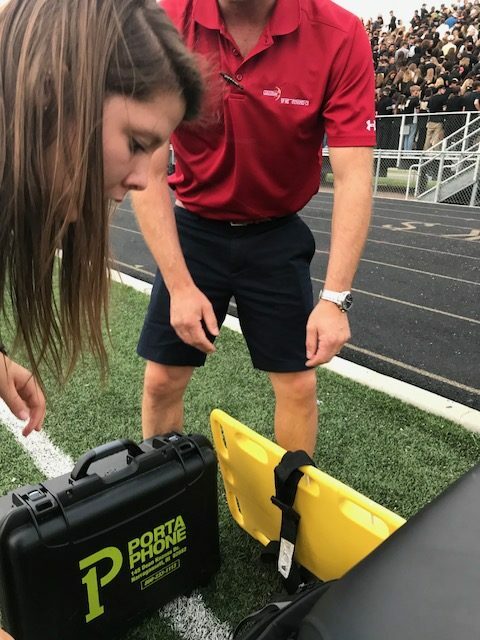 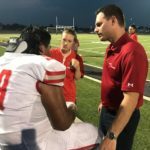 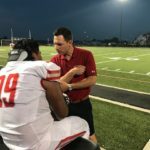 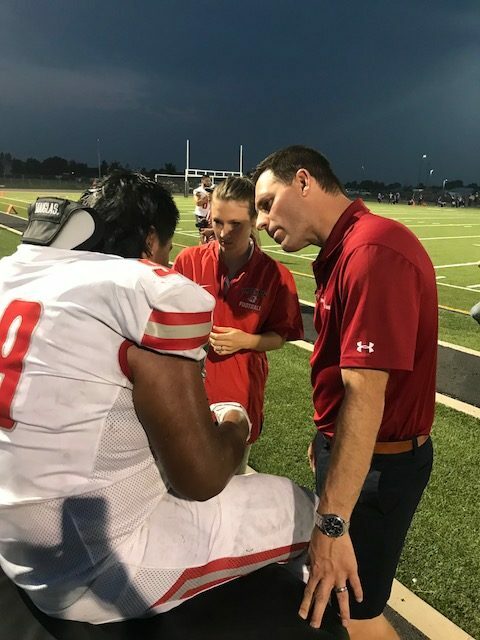 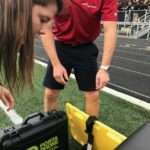 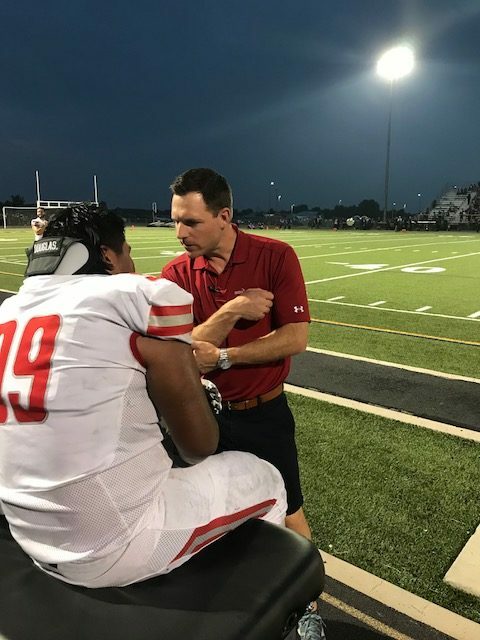 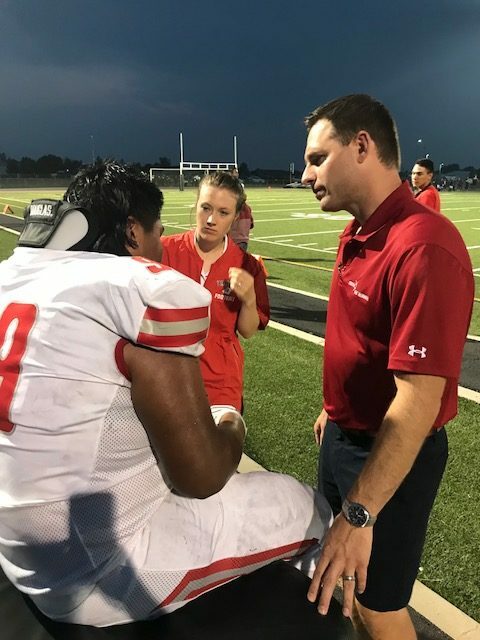 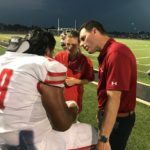 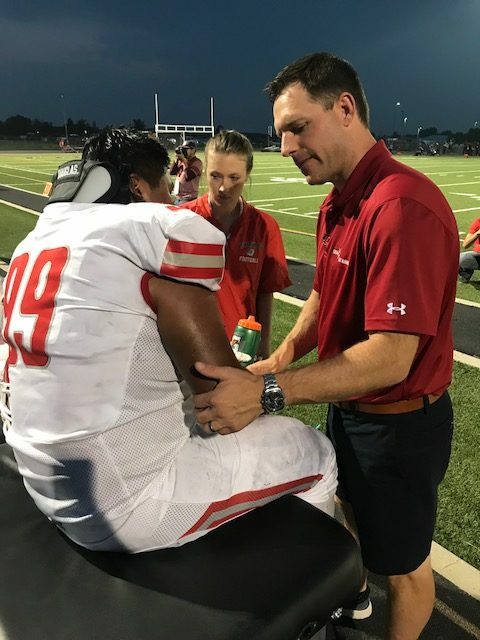 The photo gallery below shows on field photos as Center for Spine and Orthopedic surgeon, Dr. Schnell worked directly with the athletic trainers from each organization — Sam Warner (PVHS) and Stephanie Goth (BHS). 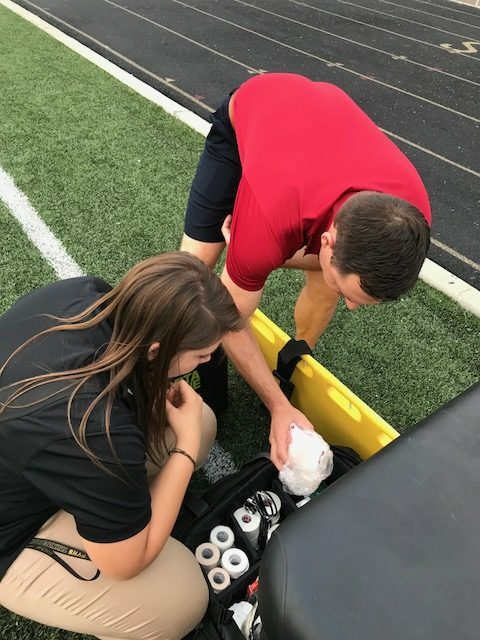 During the game, a player from Brighton High was reviewed and treated by both athletic trainer, Stephanie Goth and CSO physician, Dr. Schnell.